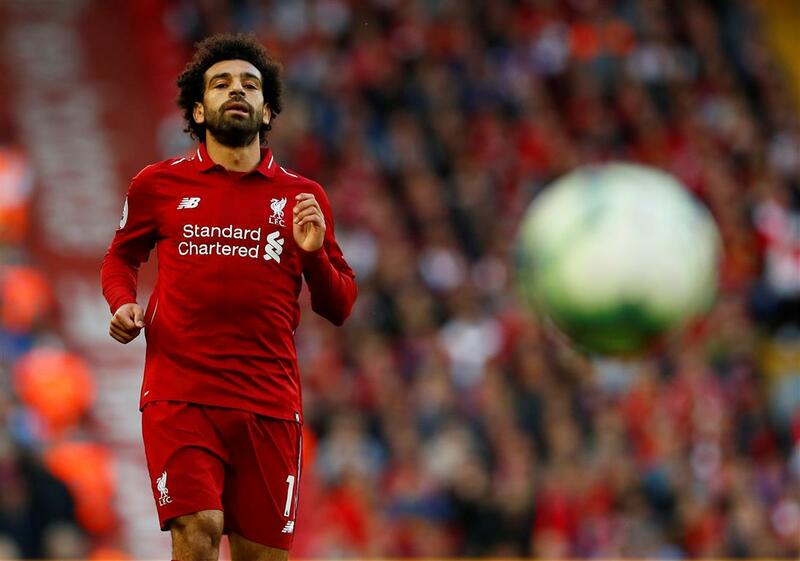 Mohamed Salah's 23rd-minute strike was enough to earn Liverpool a 1-0 win over a dogged Brighton and Hove Albion and give them an early top spot in the Premier League with three wins out of three. It was hardly vintage Liverpool, with Brighton fresh from their victory over Manchester United last week, well-organised at the back and frequently frustrating Juergen Klopp's front three. But it was the kind of hard-fought three points that Liverpool will need to pick up throughout this season if they are to mount a real challenge to Manchester City in the title race. Klopp said he had little interest in the league table at this early stage but was pleased with the 1-0 victory. "Nine points after three games, there's never anything negative about that. But if you watch the games, you will see we have a lot of work to do," said the German. Liverpool made a strong start, and Brighton's Australian keeper Mathew Ryan did well to keep out a Roberto Firmino header before Trent Alexander-Arnold rattled the crossbar with a 15th-minute free kick. The breakthrough came when James Milner robbed Yves Bissouma as Brighton tried to play the ball out from the back and a quick exchange of passes from Sadio Mane and Firmino ended with a clinical finish from Salah, last season's top scorer with 32 league goals. With Georginio Wijnaldum dominant in central midfield, left-back Andy Robertson charging down the left and Salah buzzing around, Liverpool looked capable of ripping Brighton apart. But it never quite happened. Brighton kept a disciplined formation, frustrating Liverpool and as the second half wore on the home side began to lose their fluency. Brighton's efforts were mainly rearguard and apart from a creating little until a Pascal Gross header in the 88th minute forced a good save out of Liverpool keeper Alisson Becker. Alisson also showed another side of his game, coming off his line to meet a back-pass under pressure from Anthony Knockaert, chipping it over the Brighton winger and laying off a pass to Virgil van Dijk. It was a moment that the Anfield crowd loved, roaring their appreciation, although a later piece of footwork from the Brazilian almost got him in trouble and his manager was not too impressed with the chip. "For sure I need to get used to it... The little chip he did was quite exciting. I don't need that. But I have never had a Brazilian goalkeeper before so maybe I have to get used to that too," said Klopp, who added he as more impressed with the save from Gross that secured the three points and an early taste of the Premier League summit.